Looking for credit card signup offers that could provide you a better chance for instant approval, along with the chance to get the best credit card sign up bonus available? Or, was your recent credit card application denied and you are wondering why? We have partnered up with CreditCards.com and their free and secure CardMatch™ Tool, which allows users to see which possible instant approval credit cards, and possible credit card signup bonuses they could obtain based on the information that they enter. These offers could include all of the major credit card companies and their best cards including American Express, Chase, Citi, Bank of America, Capital One, and more. The process takes less than a minute, it is completely free, and it is based off of a soft check of your credit, which means your credit score won’t get dinged just for looking. Here is how the process works. Find access to the CardMatch Tool below! The first screen you will see is where you need to enter some simple information about yourself. After that you can browse targeted credit card offers, along with options for the best credit card signup bonus, based on the credit profile that is brought up from the information you entered. Again, there is no need to worry about your credit score taking a hit for looking at the possible signup offers available to you. The CardMatch Tool does a soft credit check which means that there will be no impact on your credit score. Based on the information you entered you could possible see some of the best credit card offers and get exclusive access to the best credit card signup bonus available for you, according to the personal information you put in. Even if you don’t have the best credit, you may find appealing offers for credit cards for for fair to bad credit. These targeted offers can even include spending requirement credit card signup bonuses that are not available anywhere else. It is all dependent on what is available at that time and what your history with certain credit card companies is. As of July 12th 2016 we have seen and heard of sign up bonuses for the AMEX Platinum Card of 100,000 points and 50,000 bonus points for the AMEX Premier Rewards Gold Card. The only way to see what offers are available is to check the free to use CardMatch option. Check as often as you want, as these offers come and go, and have piece of mind knowing that your credit score will not be affected. Then apply for credit offers and signup bonuses that will suit you best. This is an example of one of the possible offers you could get. We can’t guarantee you will get offers like this but you’ll never know if you don’t check. The best credit card signup bonus options change all of the time and it doesn’t hurt to check often. This program is one of the best available to maximize the time you spend to compare credit cards and also the money you plan to spend with them as well. Even if you already know what card you want, you should check with the Card Match tool first to see if they are offering anything extra. Signup bonuses can be free money that you can use any way you want. Finding the right credit card for you that will maximize the money that you spend is a big decision. Credit card companies want to compete for your business and signup bonuses are something they use to get you to sign up. They key is to find the card that will work best for you and consider the best credit card signup bonus as just that, a bonus that you can use any way you want. Remember that a credit card signup bonus can come in the form of credit card miles, credit card points, or cash back. The Card Match tool is like your own personal, free to use, credit card guide to make the search for, likely, the best credit card approved for you as simple and easy as possible. Remember that offers are changing all of the time and you can check as often as you want since there is no effect on your credit score. All offers stated as being offered through the CardMatch Program were viewed as available as of 5/31/17. Signup offers are available for the AMEX Platinum Card for 60,000 bonus points. There are signup bonuses available for the AMEX Premiere Rewards Gold Card for 25,000 bonus points and 50,000 bonus points. Current signup bonus available for the AMEX Gold Delta Skymiles Card via. Card Match is 60,000 bonus miles. Find a signup bonus of 10,000 points for the AMEX Everyday Card through the Card Match Tool. Cash reward signup bonus for the AMEX Blue Cash Everyday Card is $100. Find an offer for a signup bonus of $150 for the AMEX Blue Cash Preferred Card through the CardMatch Tool. 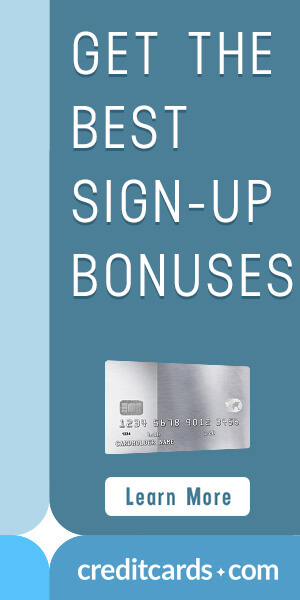 Amazing signup bonus of 50,000 bonus points after you spend $4,000 in 3 months via. CardMatch. The Chase Sapphire Reserve Card 50,000 point bonus was viewed as available on 5/31/17. Over may be discontinued at anytime. You could find an signup bonus offer of 50,000 bonus points for the Chase Sapphire Preferred Card through the Card Match Tool. Pay 0% APR on balance transfers and new purchase and $0 balance transfer fee. Unfortunately, as of right now, there are no business card offers available with the CardMatch Tool. Remember that these are targeted offers so just because an offer is available does not mean that it is necessarily going to be targeted towards you and be available. The only way to know is to check. – Don’t chase signup bonuses by spending money that you weren’t going to spend already. Consider the signup bonus that comes with the card you want as just that, a “bonus” for doing spending you were going to do anyways. – Interest will greatly out way any bonus that you get. If you do not pay your balance in full each month, therefore incurring interest charges, that interest will be much greater than any rewards that you earn. Even if the signup bonus you earn is a large one, interest will eat away at its value. – Consider annual fees. If the credit card that comes with the credit card signup bonus you want comes with an annual fee that that into consideration. See how much of the credit card signup bonus you will have to use to cover the annual fee and how much rewards you will have to earn to cover it every year after that. Remember that some cards waive the annual fee for the first year. – The CardMatch Tool is a great free to use program that you can check as many times as you like with no effect on your credit score. Some of the best signup bonuses that are only available through the CardMatch program that you cannot find anywhere else. – Signup bonuses change all of the time so check back with CardMatch later if you don’t find the signup bonus that you are looking for. Credit card companies want to compete for your business and they will use signup bonuses to get it. 1. Is the CardMatch Program Safe? Yes, the CardMatch Program is run by creditcards.com encrypted system, which protects your inputted information. Also, you are only using the last 4 digits of your SS # which is always safer than inputting your entire SS #. 2. What offers will be available to me? It all depends on your credit profile and any current and previous credit cards that you have. For example, it is pretty common for current American Express cardholders not to have any offers show up in their Card Match results. 3. Does CardMatch provide results that are not available anywhere else? Yes, there have been credit card offers and credit card signup bonuses available through CardMatch that you won’t find anywhere else. But, there are also credit card offers available that won’t be featured in the CardMatch Program. Your best bet is to do your own research and use Card Match as a tool to help you find the best offer for you. 4. How often can I check my CardMatch Profile? You can check your profile as often as you want. There is no hard check done on your credit, so it has no effect on your credit score. Picking a credit card is a big decision so take your time and check back as often as you want. Combining the CardMatch Tool with other resources gives you the best chance to find the best credit card offers and signup bonuses that are available. Snail mail still has some great offers from select issuers, along with offers from current credit cards that you have looking to upgrade you. Be sure to weigh all of your options and you will be able to maximize the bonus that you get and get the most out of the money that you spend. Ready to find the best credit card signup bonus for you? Utilize the offer below to access the free and secure Card Match Tool and get your offers now.